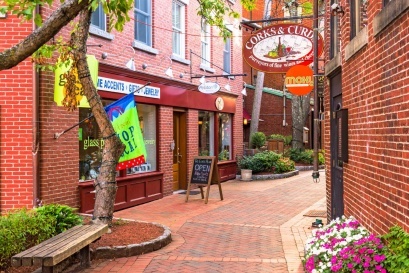 As many continue to crave the live, work, play balance, Portsmouth New Hampshire’s unique dining options, historic charm and boutique shopping offers that experience to localists and visitors. The most popular time of year to visit Portsmouth is July and August. Settled in 1623, Portsmouth, a New Hampshire gem, is the third-oldest city in the United States. With an active port, mouth-watering dining options, shopping and more, Portsmouth’s small city scale is historically touristy and local. 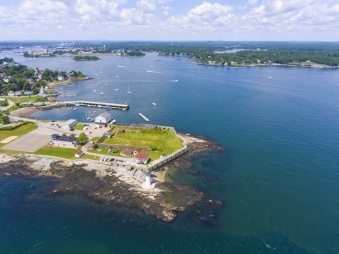 One of the attractive characteristics of Portsmouth is the walkability to local attractions. With it’s exuberating historic charm and architecture, Portsmouth is home of many museums, parks/trails, and entertainment. Throughout Summer, Prescott Park Arts Festival presents concerts, theaters and movies. Market Square day, a downtown celebration featuring live entertainment, food vendors, and a 10k road race, is held in June. Strawberry Banke Museum – A 10-acre outdoor history museum located in the South End historic district of Portsmouth, one of the oldest neighborhoods in New Hampshire. The museum consists of 32 historic buildings and a collection of 30,000 artifacts. Strawberry Banke welcomes both children, adults, and multi-generational families. Discover Portsmouth Walking Tours – Discover Portsmouth is located in a large Federal Style brick building that was built in 1810 as an academy with 25 women in the first class. Discover Portsmouth includes an art museum, gallery, gift shop and hosts several 75-minute walking tours. Market Square – Located in the heart of downtown Portsmouth, Market Square is the center of activity consisting of art galleries, bookstores, antique shops, fine dining, and more. Created to celebrate renovation of Downtown Portsmouth, Market Square Day is an annual celebration where 60-80k people walk Downtown Portsmouth enjoying the live entertainment, products, and food. It is held on the second Saturday in June. 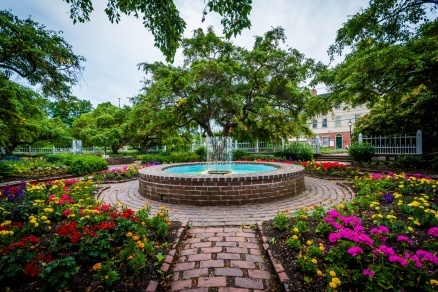 Prescott Park – Prescott Park is a favorite for localists and travelers, especially in the Summer when everything is in full bloom. The Prescott Park Arts Festival is held annually and brings in live entertainment, theater, and special movie nights. 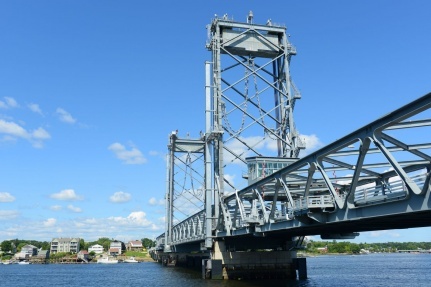 It’s the perfect place to admire the views of Portsmouth’s Memorial Bridge. 5. The Music Hall – Quaintly tucked off Congress street, The Music Hall is an 895- seat theater that was built in 1878 and claims to be the oldest operating theater in New Hampshire as well as the 14th oldest in the nation. They host a full roster of concerts, plays and musicals in addition to on-going series throughout the year. The Music Hall Loft, a smaller site, is located just a block away.